You know how R2-D2 is actually controlled by the 3'8" Kenny Baker? 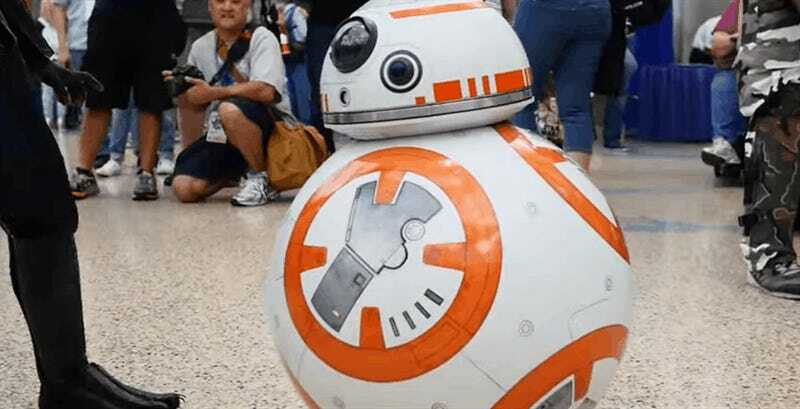 This BB-8 cosplay is kinda like that. Only without the desert heat. Or adults. The suit was made by William Minamoto, one of the best droid builders on the planet, while the kid inside is his daughter.